If you happen to be the sort of person in the market for a hidden and underappreciated jewel to be had from a pawn shop, and for not much cash, then keep both of your eyes open when you shop for the Harmony H-19 Silhouette. This is a very high quality instrument from a brand mostly known for making student or budget type instruments. It is another lesson in why you should never discount a brand for not being on the A list of desirability. 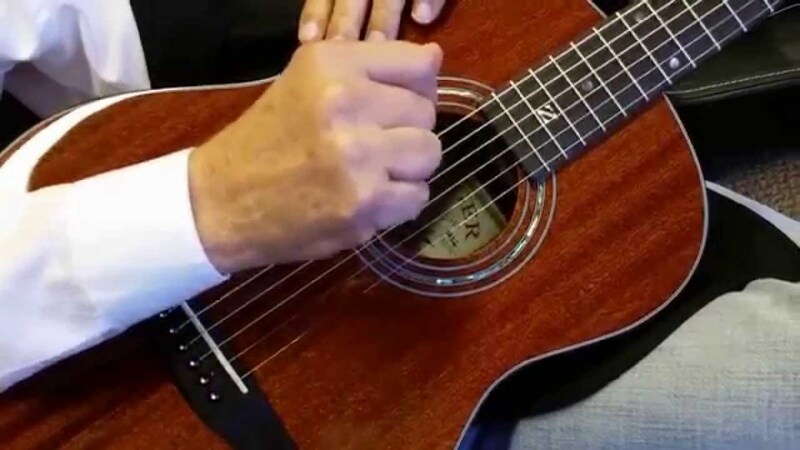 Without straying too far from the subject at hand, it can be noted that Jimmy Page did the acoustic part of Stairway To Heaven on a Harmony steel string, and that guitar is in the rock and roll hall of fame. This H-19 Silhouette is very vintage, super retro-cool, and altogether a fine guitar built to compete with the Fender Stratocaster. It does compete, and it does it well. Harmony built this guitar to be a true professional's guitar, and it is. Straight up, if you've got the cash and you see one of these guitars, you should buy it. Had the great Clapton, Hendrix, or Beck picked up one of these, every guitarist under the sun would be dying to have yours. Somewhere out there in some lonely small town pawn shop there is a beat up looking Harmony H-19 Silhouette sitting on a rack with an asking price of fifty bucks or less. A little tender love and care, and that thing is a top notch solid body, a real player's guitar. I'm sure I mentioned they sound great. 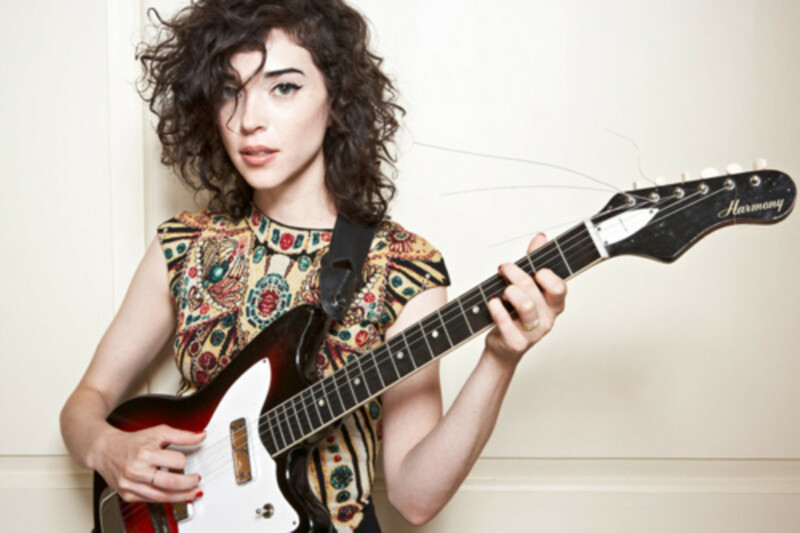 At present, the guitar's big endorser is the supremely beautiful Annie Clark, otherwise known as St. Vincent. She has more than one of these, and you can hear for yourself how great they sound. Myself, I hope St. Vincent and her playing inspire more women to pick up the guitar, and I hope to see this particular model get its long overdue appreciation in the guitar marketplace. 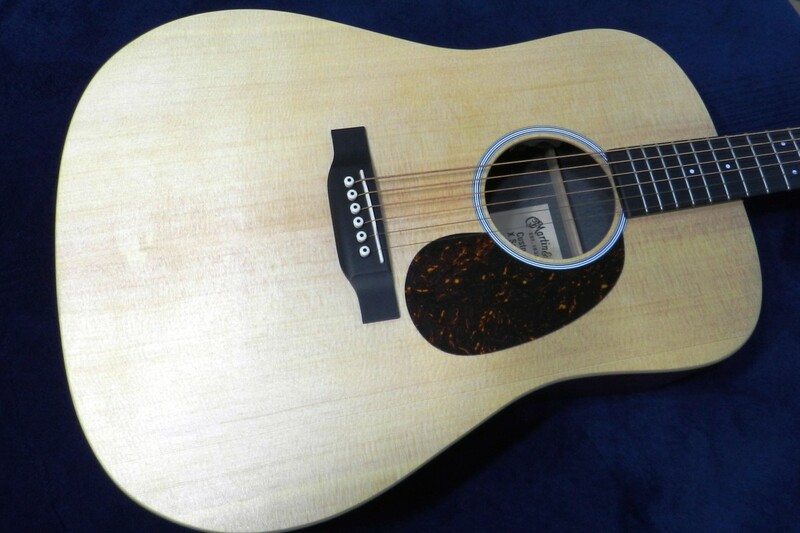 The Harmony H-19 Silhouette was built to compete with more prominently branded guitars of the mid 1960s era. The body shape is original,although it somewhat resembles a Fender Jaguar. The fretboard is completely unique for a solid body electric; you see, this guitar has twenty frets instead of the normal twenty one. A close inspection of the instrument shows it isn't like any other. You'll never hear of a guitarist that wants to sound like everyone else. A strat, tele, or Les Paul is forever an amazing guitar, but with this H-19 Silhouette, you won't sound like anyone else. 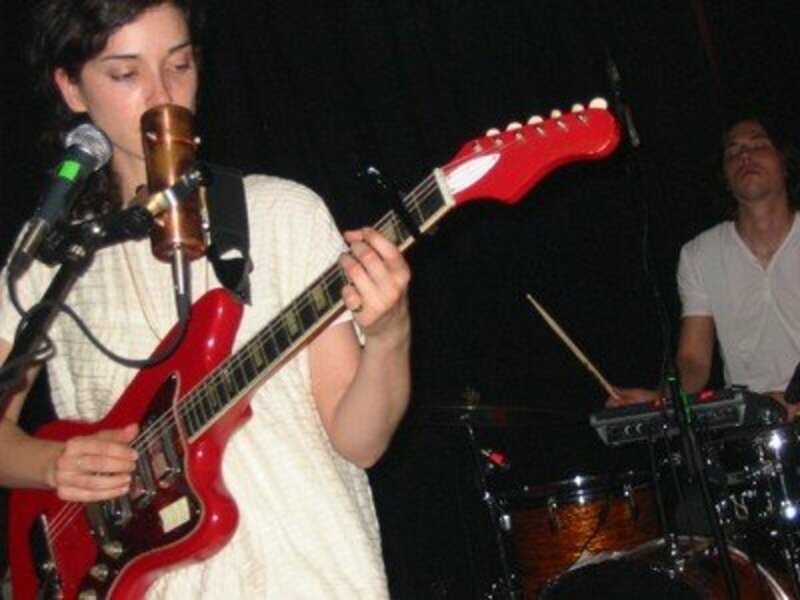 Worried about sounding like St. Vincent? You shouldn't worry about that, especially if you play with a pick, she plays with her thumb and fingers. There isn't, as a general rule, any difference between the Harmony Silhouette and the Harmony Bobkat save the year the instrument was born. This instrument was born as the Silhouette in the year of 1963. The instrument had the same name until 1968, and then it was renamed the Bobkat. Insofar as the H and the numbers - this combo or designation involved the pickups, the single pickup model was originally an H-14, the two pickup model the H-15. The exact same guitar was also sold under the Silvertone label, so keep your eyes open for those, it is the same quality guitar. Figuring out what exactly the numbers in the models mean in regards to the Harmony and the Silvertone has proved nothing more than confusing for me; suffice it to say there is real value in the construction of the body and the neck, and the electronics and tremolo too. If you find a beater, you've found a gem in need of polishing. As pictured above, there have also been three pickup models. All the factory pickups in these guitars are DeArmond gold foil pickups made by Harmony. Some of the Silvertone models I see on the web have Bigsby tremolo instead of the Hagstrom. 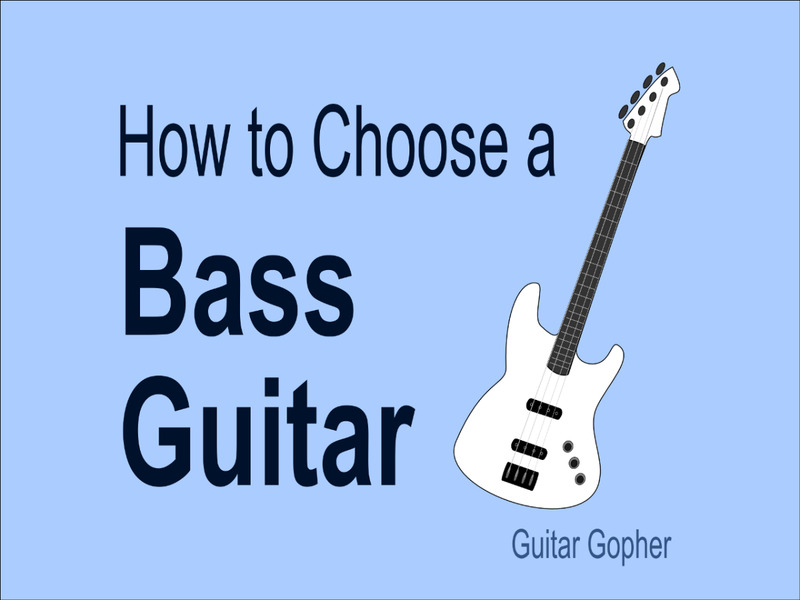 Because there are often simple minded consumers confusing inexpensive things with cheap things, sometimes the instruments you find will be roughly used. They can be restored. I've seen complaints about these guitars- that they're not much use for rhythm. That issue may be more to do with an individuals style and attack than it does the guitar's quality. By most all accounts these guitars are terrific for leads. The shorter scale of the instrument will definitely affect the tonality and string tension of the thing. This is a matter of physics. Another minor rub concerning an all original Silhouette or Bobkat is the Harmony tuning machines installed. Harmony used the same tuners they use on their lesser model instruments. The decision to do that made little sense as the thing has a Hagstrom bridge with six individual and adjustable saddles, one for each string, and a fine Hagstrom vibrato as well. Surely they should have had Hagstrom or another fine machine shop somewhere make the tuning keys? Hey, no worries, if you're a heavy vibrato user, you can surely spring for some better tuning machines. These DeArmond pickups most often have a distinct mustache design on top; but not always. The front pickup produces a jazzy sound, and some say these make the instrument sound as if it were a semi-hollow body guitar. The bridge pickup, of course, will sound a bit more rock and roll. Sometimes you'll see one of these guitars with a tremolo arm cover, and likely you'll see the majority without them. These guitars sound great clean and dirty. While built to compete with the Strat, looking more like a Jazzmaster, the guitar is actually closer to a Les Paul than anything else. How? Well, the two pickup design and independent volume and tone knobs for each pickup are one thing, but the biggest part of a guitar is often what it is constructed of. These have a solid mahogany body and a maple top like a Les Paul. 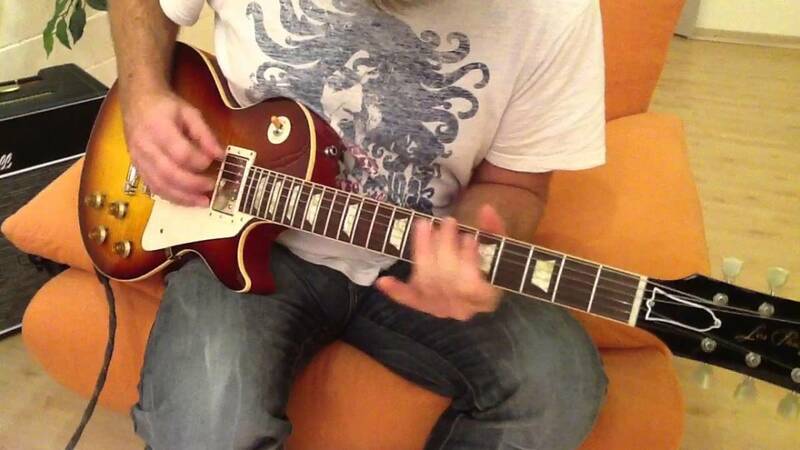 On the whole, the guitar is more similar to the original Les Pauls with single coil pickups than anything else. Expect these guitars to sound somewhat like the Les Paul gold-tops with single coils, and the sustain will be most pleasing. All of these guitars are used, and just how used will play largely into the price. I'm pricing these on the web from anywhere between two hundred dollars all the way up to one thousand. 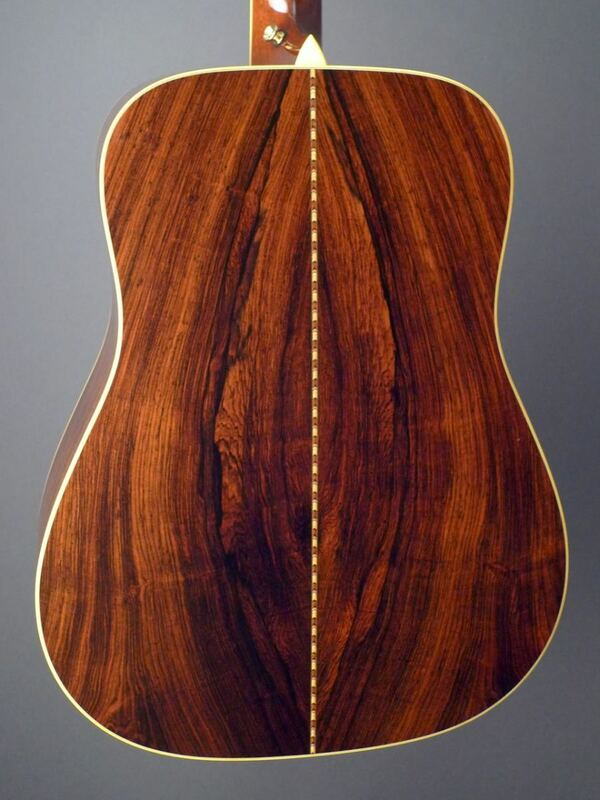 Be advised you may find one in the hands of a seller who's not caught on yet as to the rising value of these guitars. 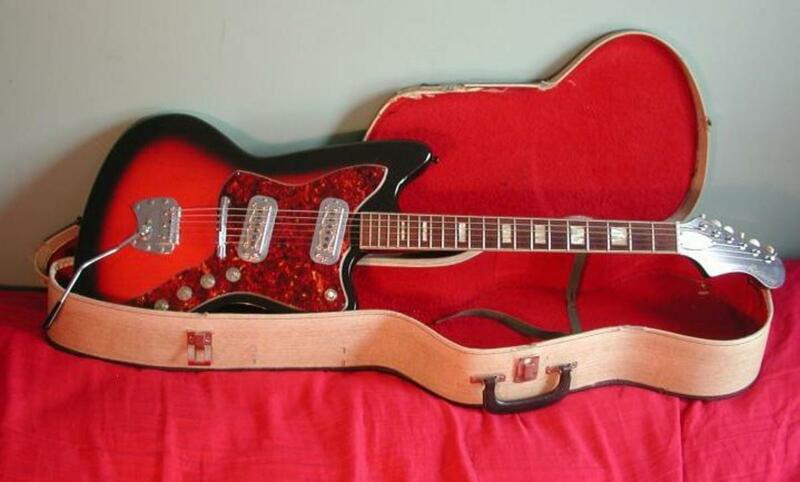 I'm not advocating ripping anyone off, I'm more advocating buying one of these as a beater for the body and neck, and then restoring it on the cheap how you like. Carvin/Kiesel Guitars Review: Is Kiesel/Carvin a Good Brand? I cry a little each day for the guitars I used to have, but there are never enough of 'em. Sometimes you just run into a guitar that seems to have some kind of secret sauce in it! Thanks Billy! I think so. I sure love me some semi obscure guitars, then again, I guess I love all of them. Also, I'm kinda fond of Ms. Annie Clark.